As a top dealer for new cars Kia in Columbus, OH, as well as used cars, trucks & SUVs, Byers Kia Parts Center maintains a fully stocked inventory of Kia auto parts and accessories. 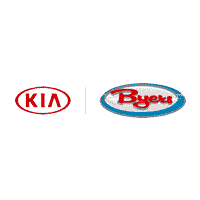 Located at 5342 Columbus Pike, Byers Kia takes pride in its knowledgeable and dedicated car parts team. Get your Kia auto parts for your Kia Optima or other vehicles near Columbus by visiting us today. If stopping by our parts center doesn’t work into your your schedule, just complete our online parts order form and a Kia car parts specialist near Columbus will contact you ASAP. Byers Kia is an excellent online source for Kia car, truck and SUV parts and accessories. We also have one of the top Columbus area Kia car repair centers with professionally certified mechanics who get your job done quickly and correctly. Make a service appointment online at our Columbus area Kia dealership today!